What's new then Hugh? 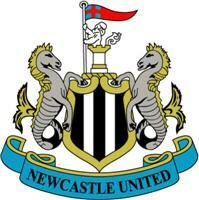 | NUFC Blog. In the absence of my esteemed ‘news round-up’ colleague, here’s a briefing of some of today’s newsworthy pieces concerning our dearest club. And a low-key announcement that the ‘news round-up’ is no more (sorry MT). First and foremost, our old favourite the ‘sale saga’ and as documented by workyticket in amused fashion last night, we’re hearing a little more about Geoff Sheard’s latest involvement. Sheard has now clearly stated that he is only acting as the middle man in the proposed new bid for ownership of the club. He is allegedly acting on behalf of a multi-billion pound New-York-based company, who are seeking to push through a deal before the end of Big Mike’s self-imposed one-week deadline. The Chronicle suggest the consortium is led by someone with big links in US Sports and that the group will aim to deploy Omnicom Group to rebrand us globally. “It’s not me who is buying the club – that should be made very clear. “I’ve put together a package for a group who want to come in and take over the club. “That’s what they want to do given the opportunity to do so. Those quotes, I guess, do tie in with Llambias’ claim that there were other interested parties but that they were further back in the process than Moat. But heeding those words, they’re no doubt still quite far back along the process and daresay too far to make it plausible. Full story from Luke Edwards here though, should you want to read the full thing. Recent target big Sol Campbell can be taken off the shortlist as he’s just signed a five-year deal with the other Magpies of Nottingham. County and their mega-bucks board are prepared to pay him a cool £10m for his troubles. Danny Simpson has been cleared by Man Utd, to let him play a part tonight and with the young lads with something to prove and with home advantage, hopefully we will be too good for Huddersfield but they’ll have good support and they showed tenacity (ahem) in the pre-season friendly so they shouldn’t be underestimated. “We expect a competitive edge tonight, because if you haven’t got two teams that want to win, there’s something wrong. “I expect a competitive game because they’re a good side. Actions speak louder than words though, eh? Let’s hope we do our talking on the pitch tonight because while there are concerns it could distract from the bigger aim of promotion and we could rue injuries sustained during cup games, it would be a nice distraction for me. Newcastle United – News Roundup – 13 August 2009. Hughton wants more goals at home. Why on earth would a “multi-billion pound New-York-based company” choose a plonker like Sheard to represent them? It makes little sense. Nothing seems to make much sense at the minute but we can but hope it’s viable and he pulls it off if Moat isn’t able to. We don’t know the relationship between Sheard and this group. Sheard is obviously a wealthy guy and he will have picked up contacts along the way. I still don’t believe it though. Been there done that and got dissappointed! We need more chat from you MT. Noticed some of the search engine terms used today that found the site, while I was doing that article earlier. Combine the three and all of a sudden it could be a little concerning. What puzzles me about this bid and the one from Fanbase 410 is that after having 14 weeks to put bids in they wait until now to actually do so. I guess they might think Ashley, desperate to sell, might take a lower bid at this stage but that doesn’t strike me as reason enough to leave it this late. Hugh I think that is exactly it mate. Nobody worth their salt are going to offer him £100m straight away are they? They’ll wait to see if he panics. Anyway, Bob Moncur on the Legends has said his contacts have told him that this Sheard guy has been speaking to the club for a few weeks, there something in it and they have serious cash. Bob doesn’t normally let his mouth go without knowing anything. Understood. Sort of. But if I was serious about buying the club I’d provide proof of funds, do all the due diligence, then put in a low offer early on. Then when it gets to this stage I might improve my offer to see if I can tempt him. If they did the due dilligence and provided proof of funds then Ashley would know they had the money and would know they were interested by going through all that. By waiting and hoping that there is no offers they would be thinking he would sh1t himself and accept a lower offer. True. But by waiting they risk that Ashley really would take it off the market for a year which, if they are serious about buying the club, seems odd. Anyway, who knows? The sooner this farce is over the better. I’m finding it all very tiresome now. I still suspect Ashley will keep the club (I think I last mentioned I was 60-40 thinking he’ll keep it, now it’s more like 80-20). That’s fair enough if Moat really doesn’t have the money to maintain the club properly but I don’t think we’ll ever be settled or able to think about the long-term under Ashley now. Do you really think Ashley will take the club off the market? These people cannot lose, if he said I;m taking it off the market and they offered £100m he’d take it. Were up for sale and we will be for as long as Ashley owns the club. I like you think he will still be our owner this time next year unfortunately. Maybe. It depends on his attitude to the season. If he decides to make a genuine push for promotion then I think he would take it off the market. Of course that would mean him having to spend more money on the club for a season, which is doubtful, but he could double his asking price if we were back in the PL. Bl**dy hell 4-3 win! Lads done a great job coming back from 3-1 down and winning 4-3. We’re on a roll! Yeah, looked like it was a cracking game. I just got back from the game. Despite coming back well to win the problems are there for all to see. Two simple balls over the top gives Huddersfield two goals just after taking the lead. Kadar looked good tonight though.